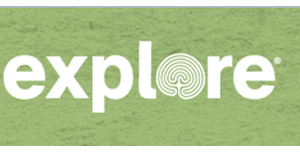 Support for Pandas International has been provided by explore.org, a philanthropic media organization and division of the Annenberg Foundation. Visit the live panda cams at www.Explore.org. Gift Republic has a Panda Adoption Tin filled with a host of panda information, and a stunning color poster. Your adoption will contribute to Panda International’s ongoing conservation efforts. 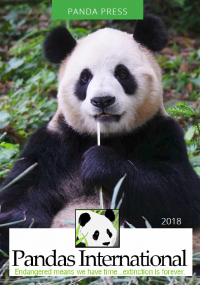 Once registered, you will also receive a personalized supporter certificate, a panda photograph and newsletters. 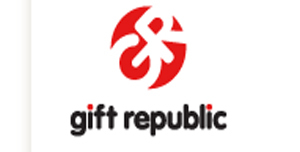 For each tin purchased Gift Republic will donate £1.99 ($2.76 based on current currency exchange rate) to Pandas International. We are recklessly committed to fun, blah, blah, blah, sunglasses. We started goodr because we think working out is fun and your gear should be too. At our core, we’re all about creating fun, fashionable, and functional sunglasses that everyone can afford. Additionally, one of the core beliefs that drives our company forward is that Bruce Springsteen is just a conglomerate of 30 bald eagles placed into a human-shaped denim suit. Want to find the best deals and help us raise money at the same time? Go to Slickdeals Gives Back. Register for free, select us as your designated nonprofit and start shopping. Slickdeals makes an annual monetary donation to Pandas International. Find deals on just about everything at Amazon while raising money for Pandas International. Get discounts on pet food, treats, toys and more with Petsmart coupons and promo codes and raise money for Pandas International with Slickdeals Gives Back! Save money shopping at Petco with great deals and coupons and help us raise more money with Slickdeals Gives Back! For over twenty-five years The Mountain has been manufacturing hand-dyed apparel in the quiet town of Marlborough, NH. Nestled in the heart of the Monadnock region, The Mountain brand has long been known for bold art and a unique style that encourages people to celebrate their individualism and wear their passion. The Mountain makes a monthly donation to Pandas International. In business since 1981, Kim’s World Travel is highly experienced in arranging world-wide travel. Kim-Fong Sheremeta and Frank Sheremeta, owners, have over 50 years of combined travel industry experience. Kim’s World Travel is a member of ASTA (American Society of Travel Agents). ASTA is the largest association of travel professionals. Kim, an Asian specialist, sponsors trips to see the pandas. 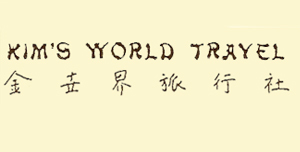 Kim’s World Travel donates travel services to Pandas International and makes an annual monetary donation each year. Founded in Costa Rica, each purchase helps provide full-time jobs for artisans worldwide — and when you purchase a custom Panda bracelet, Pandas International receives a donation. Please note: Pura Vida depletes its stock very quickly as these are one of a kind items produced by hand. If the site says the bracelets are sold out – you can add your email to their list to make sure you receive a bracelet as soon as the stock is resupplied. Facing challenges, see possibilities.Suncor pursues a triple bottom line vision of sustainable development—energy development should occur in a way that provides economic prosperity, promotes social well-being and preserves a healthy environment. 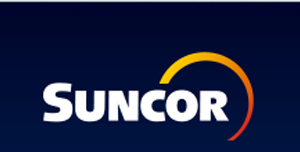 Suncor is a sponsor of the Pandas International annual dinner. BIKO Bamboo focuses on finding eco-friendly alternatives to everyday household products using bamboo. We believe that quality eco-friendly products should be affordable and made from the highest quality bamboo. BIKO Bamboo gives back by donating $0.05 for each box of straws sold. Coyote Gold® All Natural Margarita is the only Authentic, All Natural, Ready-to-Serve margarita on the market. Coyote Gold was developed by margarita lovers for margarita lovers AND margarita lovers agree that the Coyote Gold All Natural Margarita stands apart from all other ready-to-serve margaritas and from the vast majority of bar/restaurant margaritas. Coyote Gold’s smooth, refreshing taste, natural golden color, and rich tequila warmth are based upon authentic, all natural ingredients. Coyote Gold is a sponsor of our 19th Annual Chinese New Year’s Dinner! Erica Vojnich is a wildlife and pet portrait artist. She is an internationally collected artist that uses realism to capture life and light in her work. 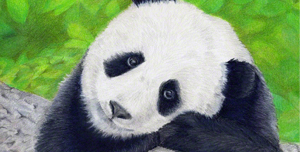 Erica donates 20% of the purchase price of each sale of panda prints to Pandas International AND exclusive use of her wonderful art for cards and prints. 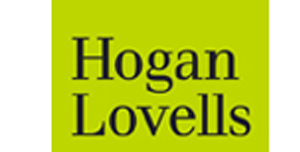 Hogan Lovells is a global legal practice that helps corporations, financial institutions, and governmental entities across the spectrum of their critical business and legal issues globally and locally. Hogan Lovells is distinguished by a highly collaborative culture which values the contribution of their diverse team both within Hogan Lovells and in the wider community. They believe that their commitment to client service, commerciality, and teamwork provides benefits to their clients and enhances effective business relationships. Hogan Lovells LLP supports Pandas International through pro-bono legal services. 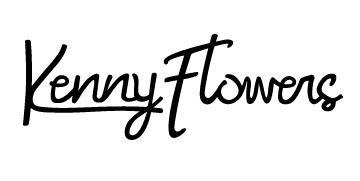 Kenny Flowers is a lifestyle brand that set out in 2015 to put a bloomin’ remix on the classic Hawaiian. Their high-quality shirts, sarongs, and the newly released swim trunks are there to bring you a bit of paradise and the best of kind of energy at all times. Seeing nearly every pool party, brunch and rooftop from Brooklyn to Brazil, KF is ready for you to keep the good times rollin’. Just recently, KF took the party underwater with the launch of their much-anticipated swim trunks and they’re already hitting beaches and swim-up bars everywhere. For every pair of Panda Party swim trunks purchased, Kenny Flowers will donate $5.00 towards adopting a panda and the buyers will be entered into a raffle to nickname the cub. Pandaloon is a family owned and operated small business specializing in the cutest panda themed fashion for humans and pets. Our “little panda”, Huxley the Panda Puppy, tests all of our pet products and spreads the love of pandas on the internet. For every panda themed item sold on Pandaloon.com, one dollar is donated to Pandas International to help save the pandas because every dollar counts! Our passion for pandas was ignited when we first saw them at the San Diego Zoo. Someday, we want our children to share that same spark. But with under 2,000 pandas left in the wild – we asked ourselves how could we help? Panda Paw was founded in 2016 to help save the pandas. Our goal is to design clothing that makes you look amazing while supporting the conservation of the beloved giant panda. Spirit Hoods LLC is the manufacturer of a unique line of animal inspired clothing for men, women, and children. Spirit Hoods are more than just a wild accessory, they are a symbol of the bond and the connection we have to our primal and wild natures. 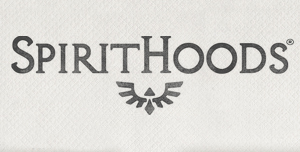 Spirit Hoods believes in the conservation and protection of both the planet and its animals. Spirit Hoods Donates products for Pandas International’s auctions. Swole Panda is a British based company specializing in sunglasses handcrafted from bamboo. Sustainably sourced from the Jiangxi province of South East China, the Moso Bamboo used in our products is harvested with the environment in mind. Not only do our designer frames look good, but their bamboo construction offers a range of benefits from being extremely lightweight with several models floating on water. An interactive, educational design project which aims to raise awareness of endangered animals across the globe by selling handmade screen prints. Through these sales, content pieces, social media activity and charity partnerships, we hope to spread the word of environmental practice and animal protection, whilst raising money for the dedicated grass root charities we choose. Youngsies ltd is a UK based company that ships worldwide, selling animal themed onesies and romper suits. All products are designed to make your little one look like a little cuddly animal. Lots of animals to pick from, all super fun and cute. £1 from every panda onesie sold goes to Pandas International. ZooHood is a leading British online retailer of animal onesies and animal gifts. We stock a wide range of festival friendly, animal costumes for adults and children of all ages including our adorable Panda Onesie. We will donate £2 to Pandas International for every Panda onesie sold. Worldwide shipping available. Visit us now at ZooHood. Please contact us if you are a business that wishes to sponsor us and be listed on the Panda Partners page along with a direct link to your website.